Most people's grandfathers ramble on about "back in the day." How they struggled up the hill with 8 jugs of milk and heavy logs on their bags. How they trekked miles in the waist-deep snow just to get to school. How they toiled endlessly under the scorching sun, day after day on the farm. They tell the same stories over and over again. My grandfather talks of the future. I wake up with nice white eyes and as the day progresses and I stare for hours at the computer/books, they turn bloodshot. I heard about Rhoto eyedrops on one of Michelle Phan's videos and I bought some. They were around $6 and come in a super cute flask-like bottle. I tried 1 drop in my left eye with before and after pictures. It BURNED when I put it in (aren't these supposed to be cooling!? ), and then started to itch. After 2 minutes, I felt like I was constantly tearing up and my eyes looked even redder than they were to begin with O_o. Maybe this was because I was wearing contacts. After about 5 minutes I added another drop. It burned again but though my eyes were still bloodshot, there was considerable improvement. The box advises not putting more than 2 drops in each eye I suppose, so for my heavily bloodshot eyes, the best remedy is some shut-eye. The blood vessels are still much redder in real life than the pictures show, but progress is quite visible. Cool! As you all know, I love Forever21. I also love shoes. But I didn't love the size selection and lack of size 5 in my favourite store. "Thank you for emailing us with your concern. We apologize for the delayed response. At this time the lowest shoe size that we offer is a 5." 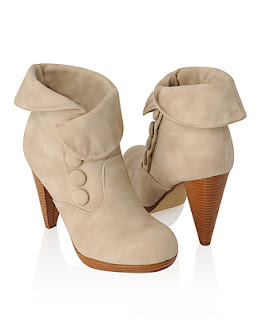 Sweetie Ankle Boots $35.80 - they look so cute and perfect for winter! It's snowing beautifully outside! Finally, a good excuse for this cold COLD weather. As I sat in the Orchid Room and watched the fluffy little dancers, I felt a little melancholy. Snow flakes were spiraling down like little airplanes, gradually gradually in big circles. Their snowflake mommies and daddies probably wished them well, with "Have a good trip!" Sadly, as they make their descent, they crash and melt to their sudden death. The ones falling onto the patio table barely survived, but as their fallen comrades kept piling up, they were snuffled out against the hard metal. Snow is also like flecking paint. I watched happily as they filled in the grass bit by bit, the pure white covering each hint of the dark background. I ran around and ate the big puffy snowflakes like Kirby om nom. It made me laugh aloud to see the little balls of snowflakes hugging the tips of the dried bushes, a cheerful decor for the dead of winter. Meanwhile, Michelle Phan is putting hot chocolate on her face as bronzer. Ummm T__T No offense to her amazing artistry, but that girl could probably get you to put ANYTHING on your face. She did this Sugar/Olive Oil/Honey exfoliator earlier. I wouldn't slab that on .. it's just scary. Stay safe and warm! More blogging when I finally catch up with my downpour of readings .. It's very tasty and comes in 5 flavours: Sweetened (blue cap), Lemon (yellow), Diet (white), Green Tea (green), and Orange (Unsweetened). Though I haven't tasted Unsweetened because my school doesn't carry it, but I can testify that the 4 others are amazing and fresh. My favourites still have to be Sweetened and Green Tea because they're sweet and simple. 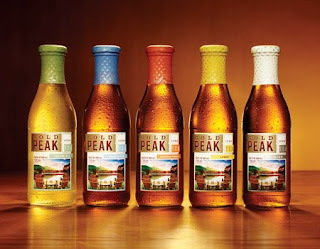 This is probably the best iced tea you will ever drink! I have been meaning to buy some boots forever but I was unsatisfied with high-end prices and lack of size availability. DulceCandy had an awesome post about a site called CutesyGirl.com that had awesome boots in petite sizes (smallest is 5 but good selection starts at 5.5 - yay half sizes!). I decided to check it out and found all of the shoes were around $30-$40. Awesome! Even better, today when I checked again, everything was on sale! 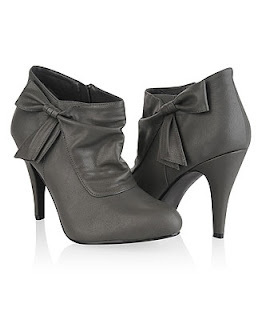 I got these Anne Michelle Cullen01 Knee-High Boots in Dark Grey for $23.30! They were originally $37.99 but now on sale for $25.89. Total deal! Plus there was a coupon code (MTAD5131) that takes 10% off any purchase so I saved an additional $2.89 hahaha. However, shipping was kind of a downer because it was $10 for shoes and $7 for clothing. The main problem came with checkout: The card must be in your current address if you want your product to reach you because this company directly ships to whatever address your card is registered with. For a person like me, whose parents recently moved to a different state, and I'm at college, which of the 3 addresses do I use? It was quite a hassle for shipping ... but I think it got sorted out in the end. Blah. Technology. Essie Mint Candy Apple: So Yummy! 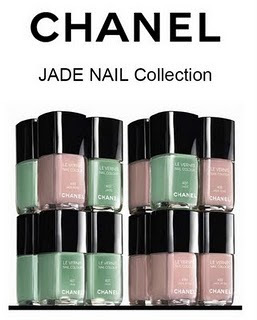 I have been ogling this nail polish ever since Chanel's Jade Nail Collection came out. Apparently the green shade, Le Vernis Jade #407, is so popular that it sells for well over $200 on eBay. The polish was originally $25. Seriously? The colour looks so delicious - a minty green - but I'm not paying THAT much for some pigmented ethyl acetate. So thank goodness for Essie's Winter Collection 2009! It features a shade called Mint Candy Apple #702 which is the perfect dupe for $8.00. Burnnn, you overpriced weirdos. Even better, for those lacquer fans who dig Chanel's Jade Rose, Essie's Rock Candy is the matching perfect dupe. Lollipop is a cheerful shade of Christmasy red, and the 3-polish set comes with a clear base coat/strengthener/top coat for $17.00. 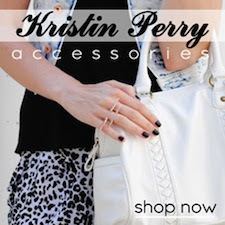 Each of the polishes sell for $8 separately, so you're saving over $7.00! 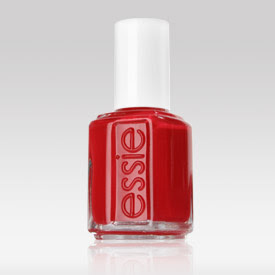 Health first, Essie's polishes guarantee no Formaldehyde, DBP or Toluene, common carcinogens found in nail polishes. I'm so tempted to get myself a set. Essie also has cool nail treatments, like ridge fillers, polish dryers, top coats, base coats, or any combo in an all-in-one bottle. Nice! Matte About You is a $10.00 matte finisher that gives any glossy nail a toned-down look that's more mature and becoming popular. 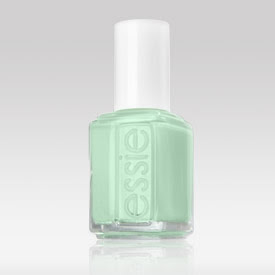 You can also get it with Chinchilly, a neutral gray shade that's one of Essie's bestsellers for $15.00. I have been craving these babies foreverrr! 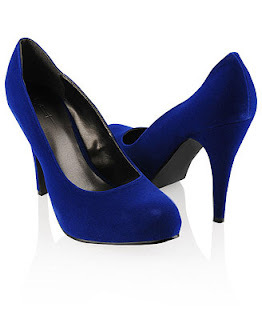 I would have preferred completely plain, red suede pumps but these are definitely cuter and shinier! Forever21 doesn't really have size 5 shoes so my feet were really sad looking at what they had in stock, but I decided to take a deep breath and try on this pair when I saw them. With sweater tights, they (kind of) fit!!! I was so overjoyed and immediately put these into my basket. Lalalaaa happy day. I'm scared of scratching them because my American Eagle Patent flats are all beat up. I just found out 2 days ago that patent meant the material T__T not necessarily a style. Amateur much? I might wear this with Hello Kitty tomorrow. Maybe. I could also be incredibly tired from walking around on the icy sidewalks in heels all day. Beauty or safety, that is the question! When I walked into H&M, I immediately headed over to this Hello Kitty Sweater. It's freaking adorable. I thought about just taking a picture but I felt bad so I tried it on in the fitting room. Sneaky sneaky. But when I put it on, I couldn't take it off. Too cute cute cute! So I splurged. $30. That's a lot for me for a single top. But it's Hello Kitty! Total + shipping came out to be $33 something. The dress itself is $25. A lot of people stared as I shopped in Forever21, probably wondering where I got it and which rack they can find it on hahhaa. I'll take that as a compliment? I loveeee this top/dress. 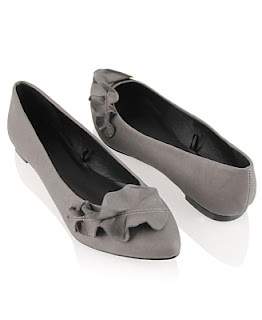 It's definitely my style : ) Cute, with ruffles and semi-casual. And then I found out Taylor Swift bought it too and it instantly became less cool. I still love it though and I'm pretty convinced I make a cuter schoolgirl than her : ) She should stick to her cowboy boots and elegant dresses. Mine mine mine mine Forever21! (in the fashion of Finding Nemo's seagulls). A few of these were left (Mediums) in San Jose's Westfield Mall, but I didn't see any in St. Louis Galleria. If you find one at your local Forever21, nab it! It's too cute to pass up. Covergirl LashBlast Length: No Clumps! Yesterday I went shopping for shampoo and conditioner, sea salt, essential things to begin the new semester. Of course I got sidetracked in Target and spent forever in the makeup aisle. I decided to try LashBlast because people have been saying good things about it and the brush looks well-designed. I love bright colours so the tube is also really cute. - Clumps? : No clumps! I was really surprised but even though I got LashBlast Length in Very Black, it was still pretty light and watery. The cap on the tube before use was really smart in keeping the moisture in while on shelves. - Curl: It didn't hold my curl as well as I would have wanted, but it's a very clean, natural looking mascara. - Volume: Not much at all. There's a different LashBlast for it. I was not paid in any way for this review; these are my opinions after use. This product was purchased with my own money. Results may vary from person to person.